Moss Vale UOW History tutor Dr Rowan Cahill was pleased to be part of a recent Art Exhibition and programme of events organised by the UNSW Galleries as part of the Festival of Sydney. The programme ran during January and February, titled “Radical Sydney”, inspired by the best-selling 2013 book of that title co-authored by Dr Cahill and doyen historian Professor Terry Irving. Centre piece of the exhibition and programme was a video-installation of ever changing footage driven by an algorithm, the work of Sydney artist Zany Begg. This work explored the life and unsolved murder in 1975 of young investigative journalist Juanita Nielsen. At the time she was silenced, she was investigating corruption and crime in the inner-Sydney world of real estate and development. Dr. Cahill began the programme moderating a panel discussion about the Sydney trade union Green Bans of the1970s, which linked with Nielsen’s life. The presence of many heritage buildings, the Rocks area, and parks in Sydney today are results of the Green Bans actions, which saved them from destruction and ‘redevelopment’. 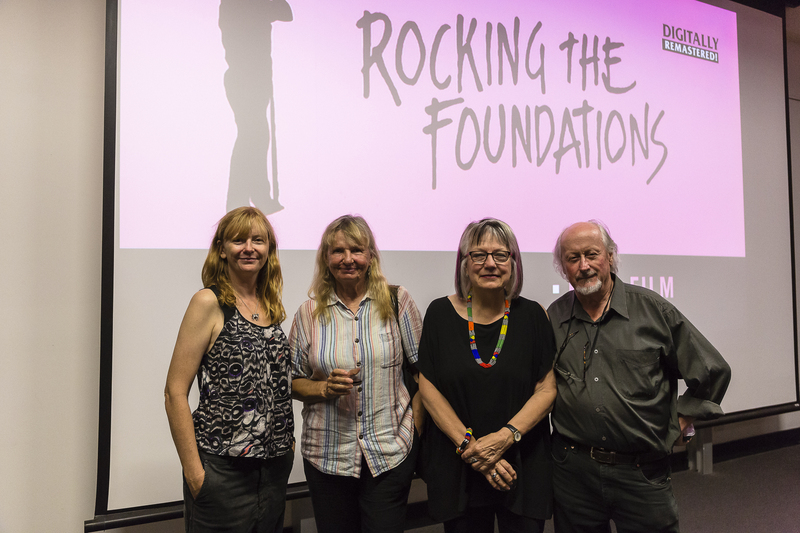 Fellow panellists with Dr Cahill were feminist and activist Dr. Meredith Burgmann, an expert on the Green Bans movement, and Award winning documentary maker Pat Fiske, whose acclaimed 1986 film of the Green Bans, Rocking the Foundations, was screened after the discussion. 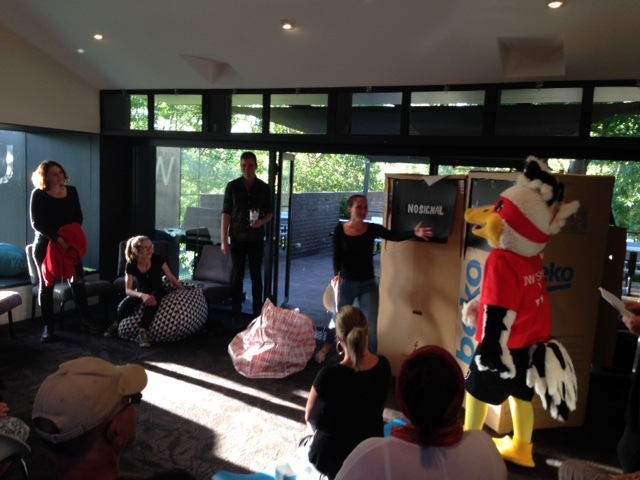 Southern Highlands campus celebrated its inaugural 2-week ‘Univative’ program this month. Univative is a Careers Central student-to-business consultancy program that provides students with unique opportunities to collaborate in multi-disciplinary teams, meet working professionals and gain authentic industry experience. A team of six students from the Business and Arts faculties worked with 2WYR 92.5FM Youth Radio on a ‘real world’ project, providing recommendations on strategies to rebrand and to engage with local youth. The team presented their findings to board members, the Wingecarribee Shire Mayor and Deputy Mayor, and UOW staff, including the Academic Director, Regional Campuses. Team Leader, Laszlo La Marque said “it’s critical that content be driven by youth themselves. The engagement officer and creation of a Youth Advisory Committee will be important to ensure content is seen as relevant, and delivered in a format used by youth”. As part of its community relations program, the Southern Highlands (Moss Vale) campus of UOW recently entered sections of the hotly contested Pavilion Exhibits of the Annual Moss Vale Show (March 9-11,2018). 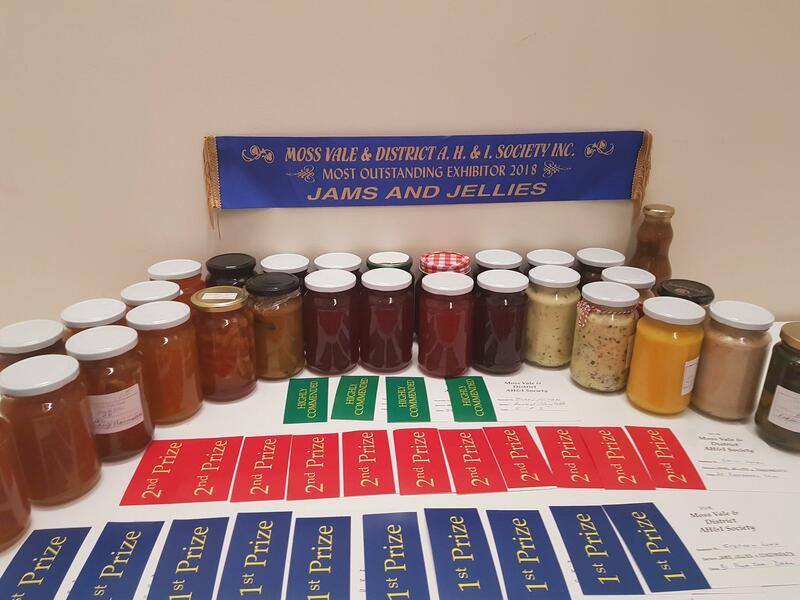 This followed the success of a small-scale and tentative set of entries in 2017 Show. 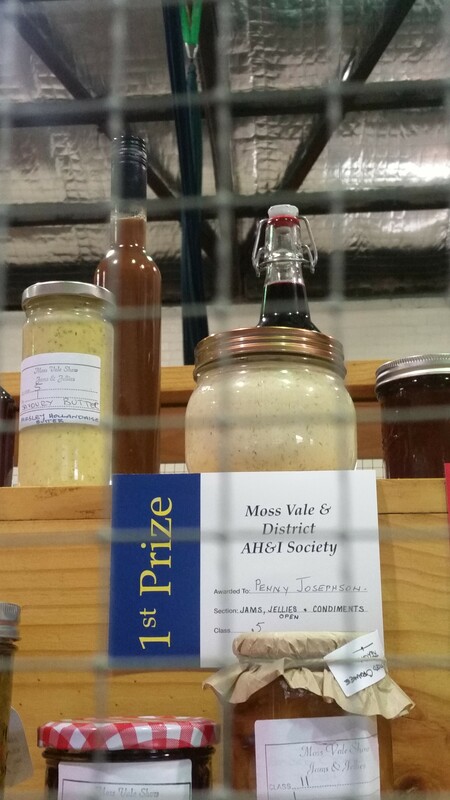 This year a wide range of entries was mustered, individually created by a collective of the Moss Vale local campus administrators, teaching staff, and post-graduate students. Carl Jefferys: 2nd Photography ‘Looking Out’, and Highly Commended for his Black and White portrait. Southern Highlands campus History tutor Dr Rowan Cahill recently featured on ABC radio’s Illawarra Drive programme in discussion with host Lindsay ‘The Doctor’ McDougall. Under discussion was the much overlooked 1978 Military Occupation of Bowral in the wake of the Hilton Hotel bombing, Monday 13 February 1978. The early morning bomb blast from a device concealed in a garbage bin outside the Hilton Hotel killed two Sydney council workers and a policeman, and wounded seven others. The intended victims, the nature of the device used, and the perpetrators, have never been established. At the time, the Commonwealth Heads of Government Regional Meeting (CHOGRM) was due to start, and in the wake of the bombing transferred to Berida Manor, Bowral. To protect the meeting, Prime Minister Fraser deemed it necessary to call-out a huge fully armed military force, and in the early hours of Tuesday February 14, 800 troops, armoured vehicles, and helicopters, occupied the Bowral township in an operation reminiscent of British troop deployments in Northern Ireland. The town remained under military occupation for the three days of the meeting. As Dr. Cahill explained, the call-out was without clear legal or constitutional authority, and defied a long-standing Australian emphasis on civil authorities maintaining peace-time domestic order. A 2005 study by Dr. Cahill and son Damien (Associate Professor, Political Economy, Sydney University) remains the only detailed study of the occupation. 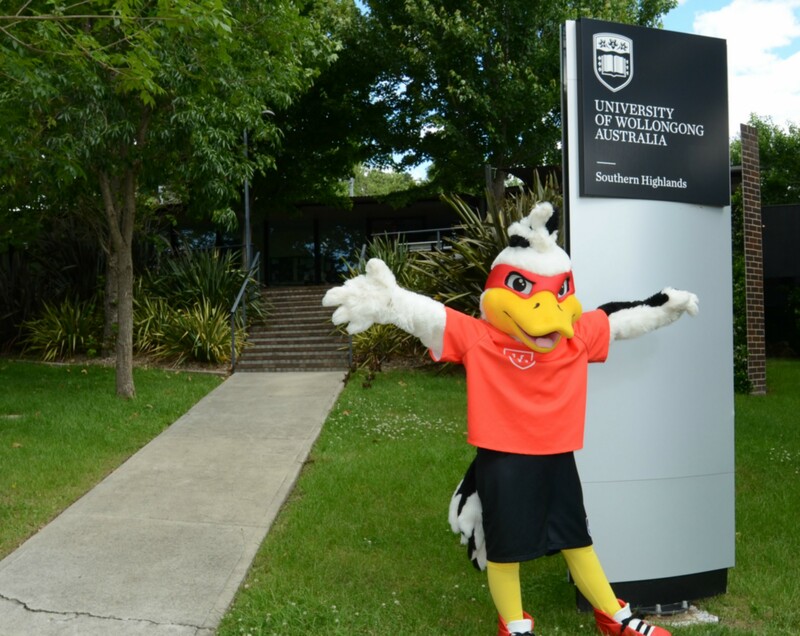 The UOW Southern Highlands campus was recently graced with the presence of a visitor from the Wollongong campus—none other than Baxter the legendary ‘Evil Duck’. entranced and frightened by the rampaging antics of a large duck, which specialised in stealing food, chasing the outraged, and generally harassing intruders. 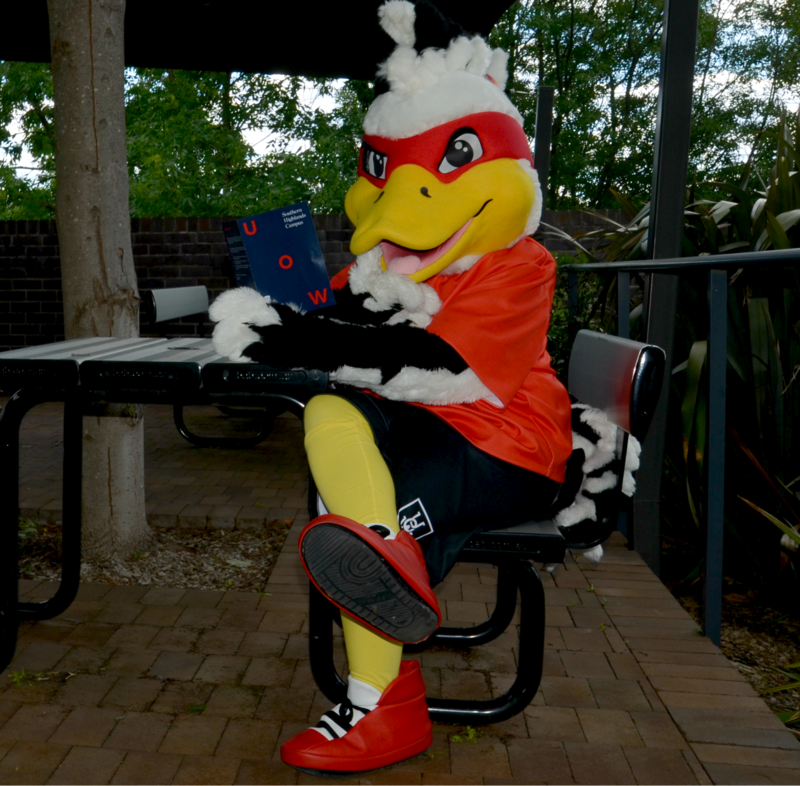 He came to be known as ‘Evil Duck’, and a part of UOW folklore. When he died in 2007, the university commissioned a large commemorative ‘duck’ sculpture for the Duck Pond, sold stuffed toy souvenirs in his image, and created a ‘duck’ mascot for public occasions. 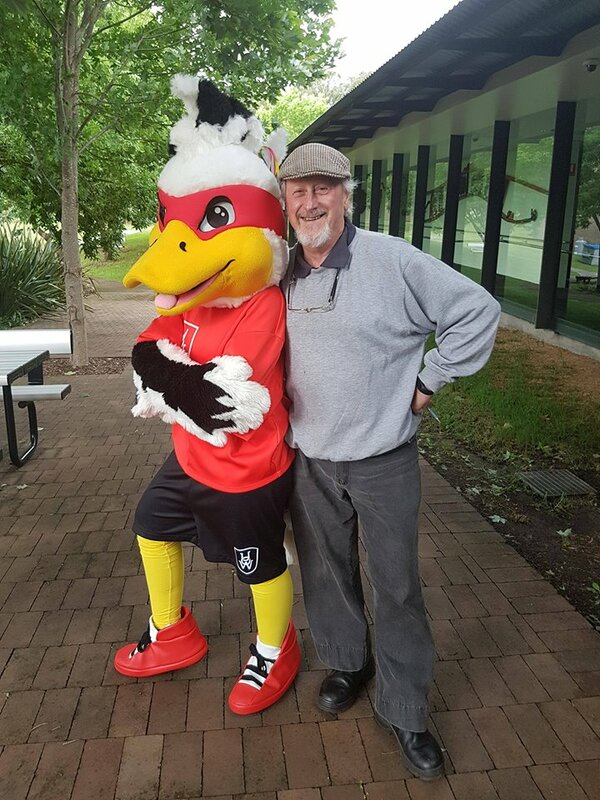 Known as Baxter, after Sir Philip Baxter who played a key role in the founding of UOW, the mascot dropped in on the Southern Highlands campus in Moss Value during the afternoon of Tuesday, December 5th. Hesitant at first, and a little wary of being so far from his usual habitat, it took the professional care and diplomacy of campus Administration staff Stephen Lowe and Erin Acton to convince Baxter that the local campus was a duck friendly place. Thereafter Baxter was communicative and outgoing, fraternising with all and sundry. He was even prevailed upon to make a cameo appearance that evening in the first production by the local campus Drama Group, part of the End-of-Year campus party. Judging by the hilarity and enjoyment of those present, the ten-minute drama presentation, entirely written, acted, and produced by the Group, and the cameo appearances of Baxter and an academic colleague, was a hit. The Drama Group is known as ‘The Blue Tongues’, homage to two long resident and friendly blue tongue lizards that live in the Southern Highlands campus garden. It comprises students Melissa Beville, Laszlo La Marque, Jasmine Murphy, Candice Piper, Annalise Stevenson, Jessica Stuart and tutor Rowena Parry. Cameo appearances included Baxter/Erin Acton, Dr. Rowan Cahill and Stephen Lowe. It is understood that after the performance, Baxter winged his way back home to Wollongong, stopping off to visit relatives on the Cecil Hoskins Reserve Weir. In June, Moss Vale (UOW) campus History tutor Dr Rowan Cahill was a guest at an in-conversation event in Sydney’s Kings Cross as part of the Vivid Ideas festival. 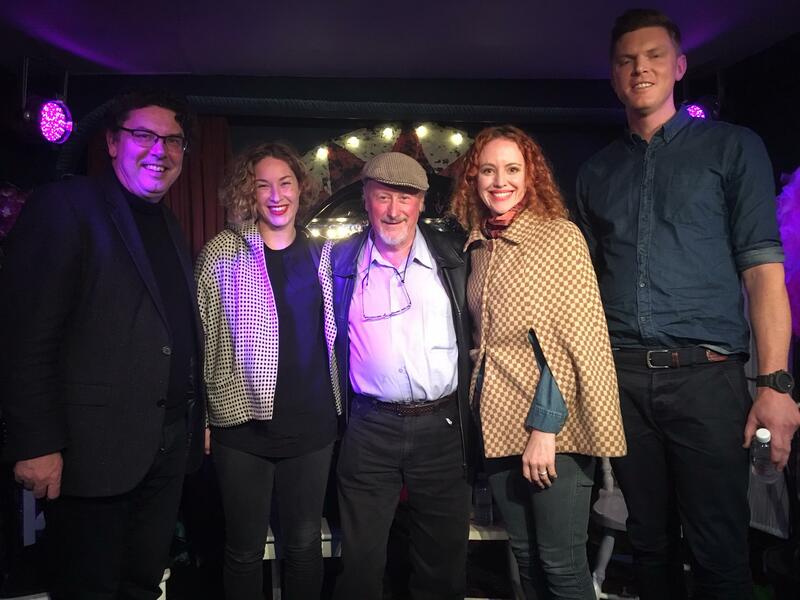 Organised and produced by theatre entrepreneurs Olivia Ansell and Wendy Richards, the event was held in a performance space in The World Bar, once the site of one of Sydney’s legendary high-class brothels. The 75-minute conversation event, which also included Q&A with the audience, was smoothly and entertainingly hosted by ABC personality James Valentine. It drew a packed and receptive cross –generational audience. The issue the event explored was the role of dissident politics and contentious activism in helping bring about social and political change in democratic societies. Cahill was present as co-author (with Terry Irving) of the best-selling Radical Sydney (UNSW Press, 2010), which explored this issue. Besides Valentine and Cahill, other participants on-stage were Kerri Glasscock, CEO of Sydney Fringe, Sydney arts scene activist specialising in saving and successfully operating performance spaces threatened with closure; Councillor Jess Miller, one of the youngest people to hold elected office at the City of Sydney, known for her creative and inclusive approaches to sustainability, strategy, and innovation; and Dr Will Tregoning, drug reform advocate, founder and director of the campaigning organisation Unharm. 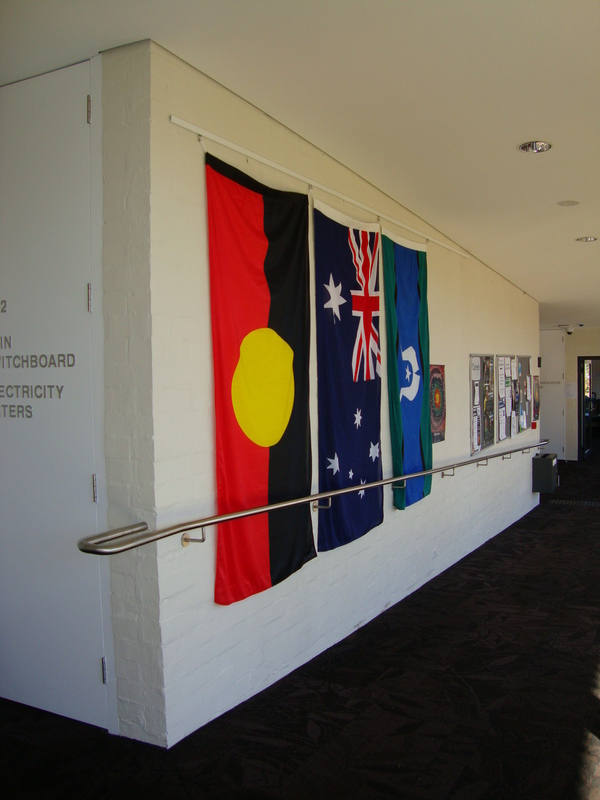 Southern Highlands Campus is built upon the ancestral lands of the Gundungurra people. We acknowledge and pay our respect to the traditional owners of the land on which we stand- the Elders past present and future for they hold the memories, the traditions, the culture and hopes of Australia. As we share our own knowledge,teaching, learning and research practices within this university may we also pay respect to the knowledge embedded forever within the Aboriginal Custodianship of country. 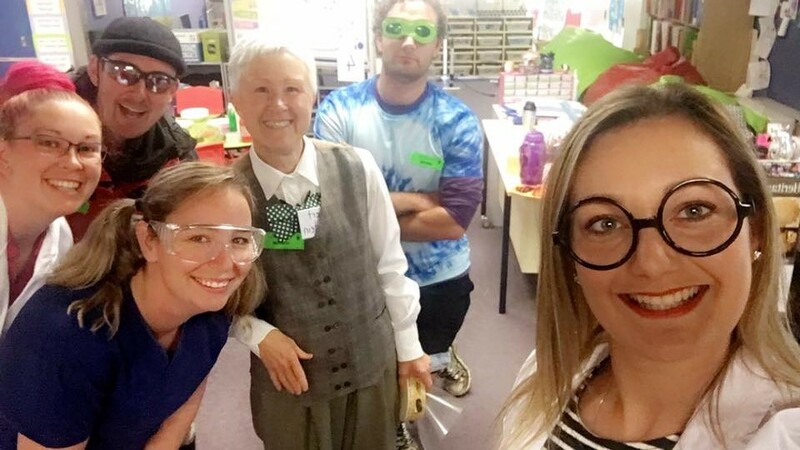 Our second year Master of Teaching (Primary) students tried out their Science teaching skills when they planned and conducted the Young Einstein Science Fair at Moss Vale Public School on May 18th, 2017. Dressed up as wacky Science characters, this enthusiastic bunch treated Year 3/4 with hands-on experiences feeling slime, creating fizz, clouds, elephant toothpaste(!) as well as colour mixing and experimenting. Not only did the children enjoy participating in these activities but also finding out about the science behind them. The students involved were Rob, Summer, Tom, Courtney and Sara. 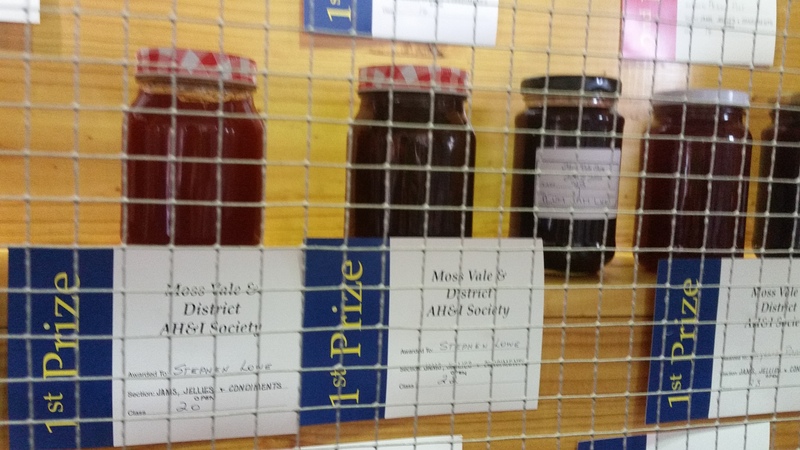 An initiative by the leadership team at the Southern Highlands campus of UOW (Stephen Lowe, Campus Manager, and Erin Acton, Administration Assistant) saw a staff/student team enter a range of events at the recent Moss Vale Show (17-19 March). As the campus is situated on the grounds of Moss Vale TAFE, and there are mutual official and collegial interactions, TAFE was also represented. 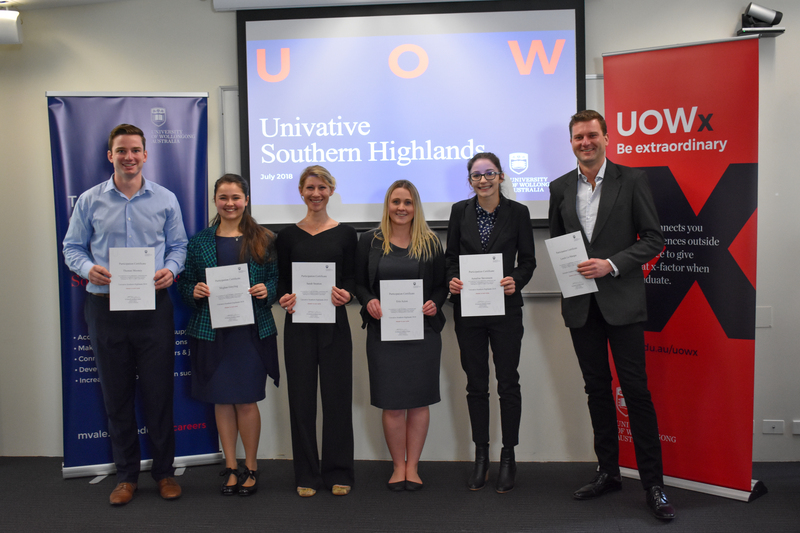 Apart from the culinary and other joys of preparing entries and participation, the initiative was also viewed as part of the Southern Highland's (UOW) campus’ ongoing involvement in community affairs. 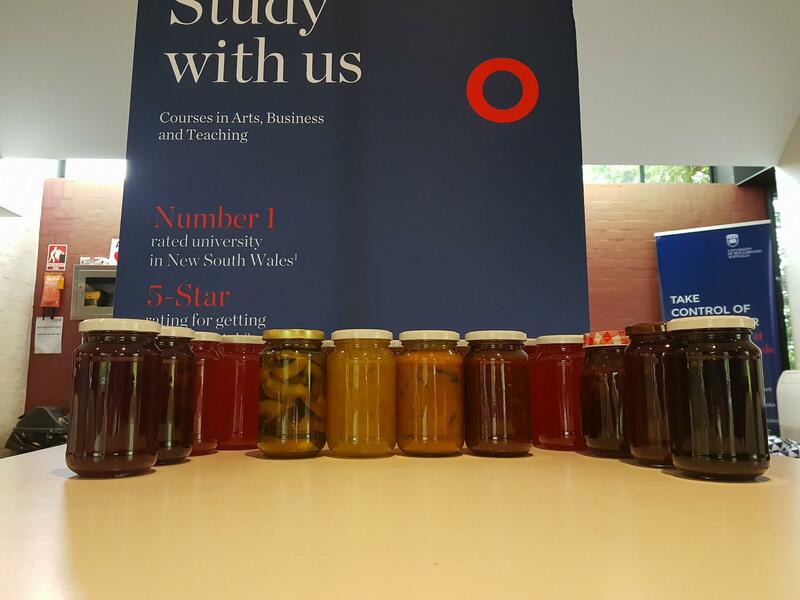 Overall the team scored well: Campus Manager Stephen Lowe was a standout, placed first in the Melon Jam, Peach Jam, Eggs (non-white), Best Eggplant categories, and awarded seconds for his Plum Jam (Dark) and Tomato Sauce. Kim Clothier, Master of Teaching Coordinator, scored a first with her Lemon Butter; Penny Josephson, Head Tutor (LHA) also won a first with her Savoury Butter. 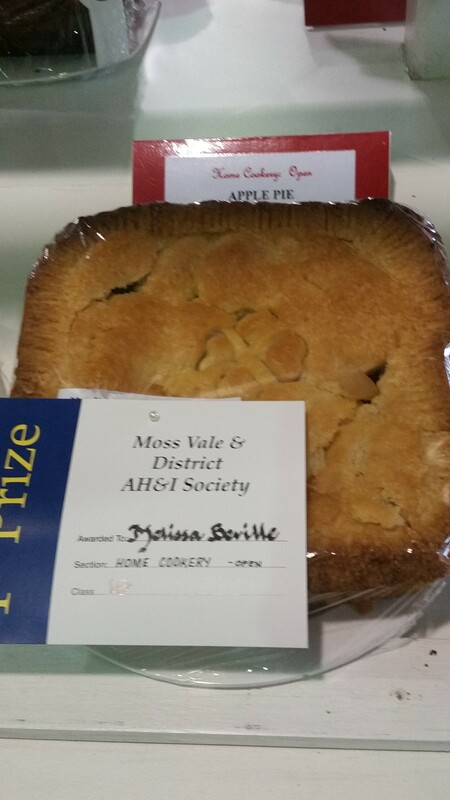 Student Melissa Beville (LHA) took out a first with her Apple Pie in the novice section. 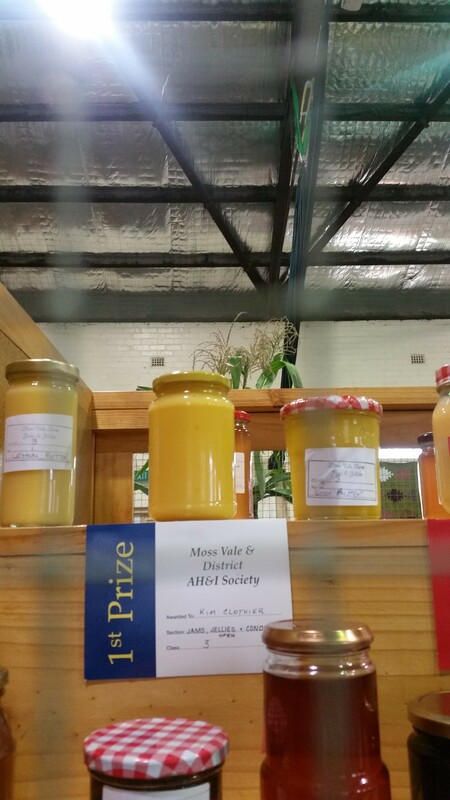 Senior Counsellor Lisa Fox (MV TAFE) took out firsts in the Best Herb Box, Cut Flowers-Dahlia, Best Flower Arrangement, and second for Eggs (White) categories. 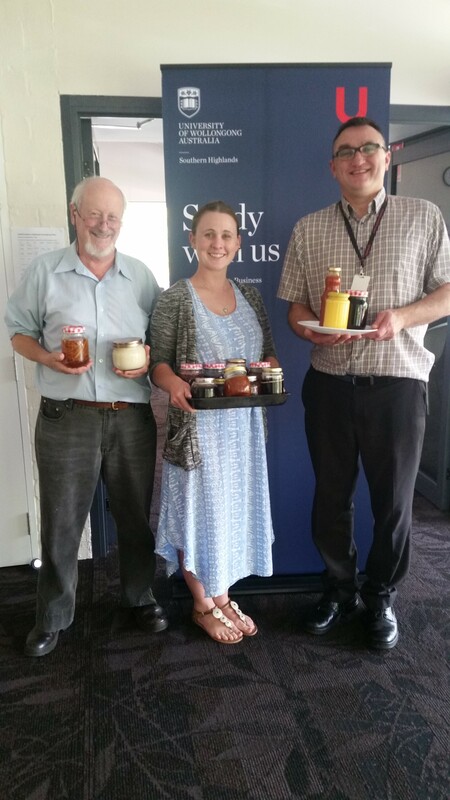 A Whisky Marmalade entry by history tutor Dr Rowan Cahill (Honorary Fellow, UOW) met peer approval but failed in the competition stakes, and a legendary Pesto entry by Regional Career Consultant Tania Goodman was left on a kitchen bench far from the competition on the day entries closed. Lamingtons crafted to a family recipe by student David Shakeshaft looked like they were in with a chance, but unfortunately did not conform to the strict size requirements of the Show. The most gruelling event, taking place despite the rain and mud, was the Wife Carrying Race, an international competition with the world championship conducted annually in Finland. 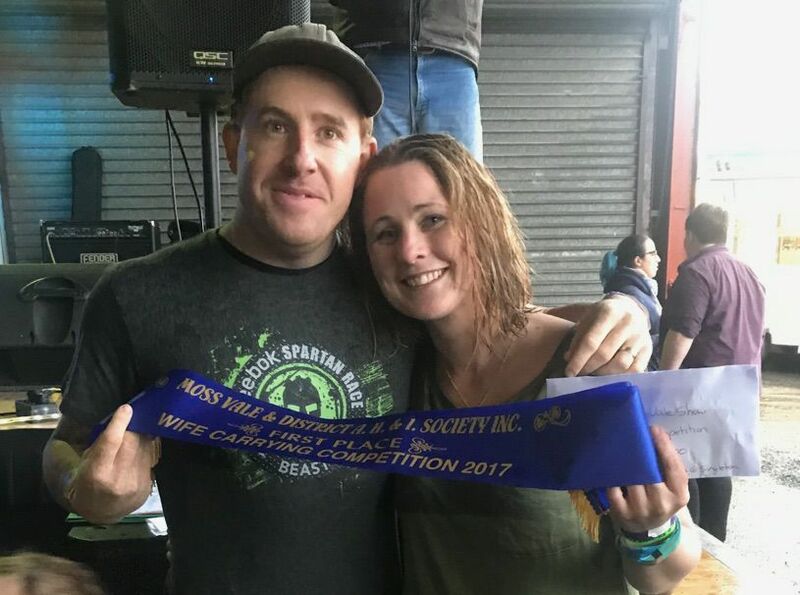 Coming home with a Blue Ribbon, for the third time in three years, and heading to Singleton national championships, was the team of Administration Assistant Erin Acton and husband Kane. Buoyed by their successes across categories and positive feedback, Southern Highlands UOW team members plan future participation in the local Show cycle. Making a career choice is a difficult decision for many students, but a team of educators is here to assist. Careers Advisers of the Southern Highlands (CASH) includes counsellors from high schools, TAFE and university, who meet each term and connect with Highlands businesses on industry tours. The second tour, organised by the University of Wollongong (UOW) Southern Highlands campus careers consultant Tania Goodman, took ten educators on a networking trip. “The tour gave us a great insight into the training and recruitment needs of employers in the region. Careers advisers will have the latest information on local industry and be better placed to recommend students for employment, internship and work experience,” she said. This year’s tour focused on employers in the hospitality sector, including Mittagong RSL, Gumnut Patisserie, Gibraltar Hotel, Tertini Wines and Bowral Co-op. Employers told the group about the qualities they sought in their staff. “The common theme was a passion for the particular industry,” Ms Goodman said. Bowral High School’s Christine Beasley said the advisers were impressed by employers’ commitment to provide local opportunities for young people. “We were impressed by the commitment of local employers to provide support and training to develop the long-term careers of their staff,” she said. Several locals gave their time, hospitality, advice and insights to the group, including Mittagong RSL operations manager and UOW Southern Highlands graduate Daniel Marmont, Tracey Nickl of Gumnut Patisserie, Jonathan Holgate of Tertini Wines, Michelle Fisher of Gibraltar Hotel, Cameron Thompson and Jane Lawrence of BDCU Alliance Bank. 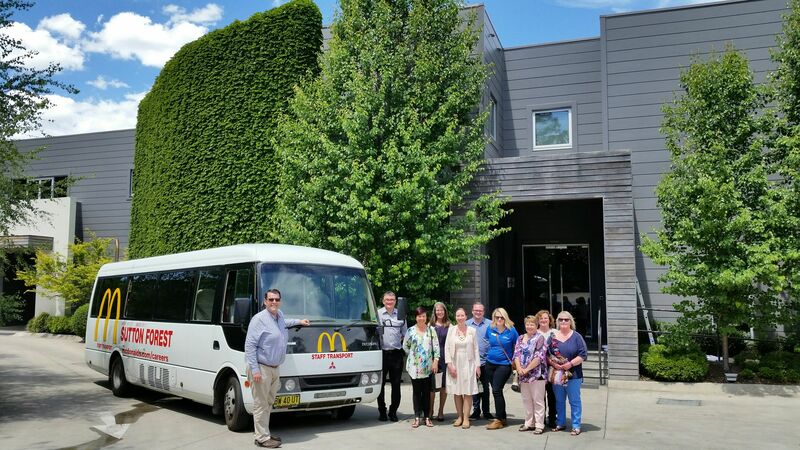 McDonalds Sutton Forest provided a van for the tour, driven by Moss Vale High careers adviser Phil Warwick. The NSW Department of Education provided funding to support the tour, and the group lunched at Gibraltar Hotel. Based on the tour’s success and positive feedback, Ms Goodman said a third tour would go ahead next year. Businesses interested in connecting with the Careers Advisers network can contact UOW Southern Highlands campus manager Stephen Lowe at slowe@uow.edu.au or 4869 1888. Students from the University of Wollongong Southern Highlands campus were congratulated with a small ceremony to recognise their achievements. Held on December 9, the ceremony acknowledged seven hard working students. Professor Paul Chandler, pro-vice chancellor (inclusion and outreach), gave an Acknowledgement of Country before campus manager Stephen Lowe welcomed attendees to the event. Hill Top Public School principal Mark Gardiner gave an address to students, the majority of whom graduated from the Master of Teaching course, on their futures as educators. Graduating students were Callie Sims (Bachelor of Arts with Distinction), Joanne Tomlinson (Bachelor of Commerce with Distinction), Cilla Leighton-Daly (Master of Teaching – Primary), Megan Moore (Master of Teaching – Primary, with Distinction), Phoebe Thompson (Master of Teaching – Primary, with Distinction) and Jordan Spence (Master of Teaching – Secondary). Jo Thomas graduated in absentia. Students Phoebe Thompson and Jordan Spence shared anecdotes from their time as students of the Southern Highlands campus in a student address. UOW Southern Highlands Campus tutor Dr Cahill has been nominated as 'street artist of the month' at the new Four Words Project in Mittagong. 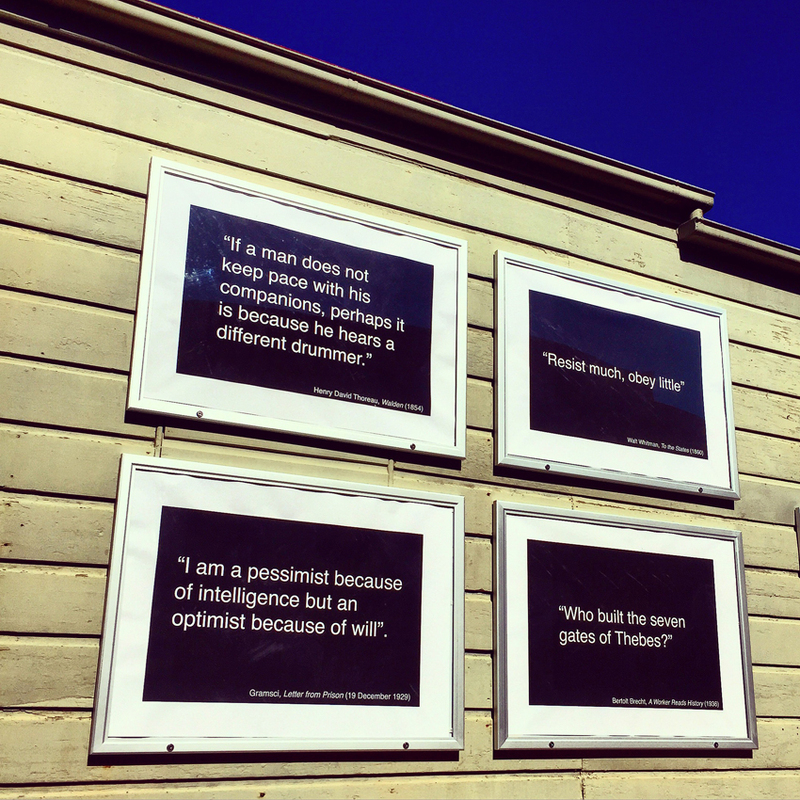 Rowan's Four words is currently on display at the Shaggy Cow in Mittagong. 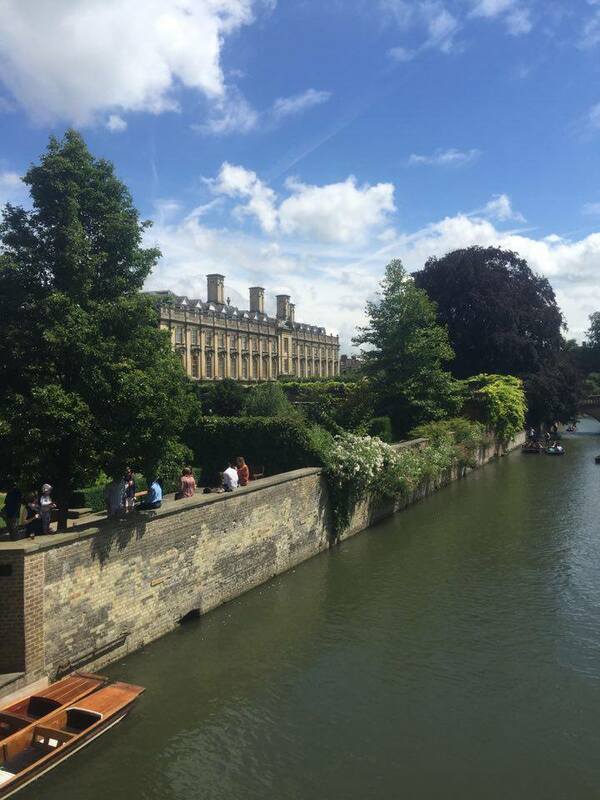 WHY wait to go to uni? These students used a university program to help prepare for their Year 12 exams. As part of the University of Wollongong (UOW) Year 12 University Preparation Program (UPP), students from six nearby schools attended the Southern Highlands campus to prepare for their upcoming exams. Students from Moss Vale High, Bowral High, Chevalier College, Southern Highlands Christian School, Wollondilly Anglican College and Trinity Catholic College in Goulburn took part in the program. Run by UOW’s In2Uni Program, students undertook a 20-week course of specialist study sessions tailored to their HSC subjects. UOW Southern Highlands campus manager Stephen Lowe said study sessions were run by experienced mentors who excelled in the selected HSC subject areas. “This ensures students received the best tips and advice to help them achieve their best in the HSC,” he said. The UPP students said that they appreciated that mentors had recently completed the HSC and understood what they are going through in the lead up to exams. 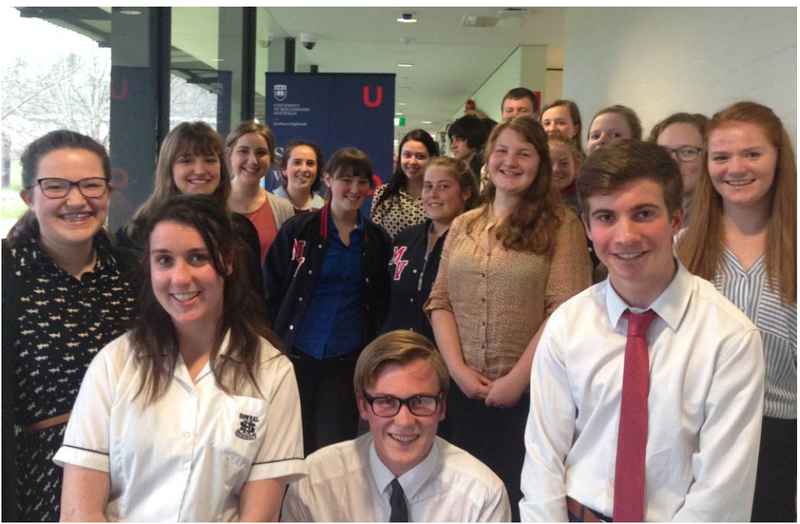 A total of 21 students completed the UPP with a celebration at the UOW Southern Highlands campus. The University is set to sign a Memorandum of Understanding (MOU) with Wingecarribee Shire Council (WSC), following endorsement of the MOU by WSC at the 27 July Council meeting. Following months of discussion with Mayor Larry Whipper, the MOU is an important step for UOW Southern Highlands as it formalises Council support for UOW’s presence in the region and will provide a framework for future cooperation. The main purpose of the MOU will be for UOW Southern Highlands and WSC to work together to develop strategies to increase participation in higher education at UOW Southern Highlands, and other projects as may benefit UOW and the economic development of the Shire. While UOW has been present in the Southern Highlands since 2003, this is the first MOU and formal statement of support from WSC. The University is increasingly being recognised as an important asset to the Shire: the MOU provides further confidence for the WSC and UOW to work collaboratively to continue to provide further outreach and educational opportunities to local residents. The MOU was announced in a statement for Mayor Larry Whipper. For further information contact Stephen Lowe, UOW Southern Highlands Campus Manager. 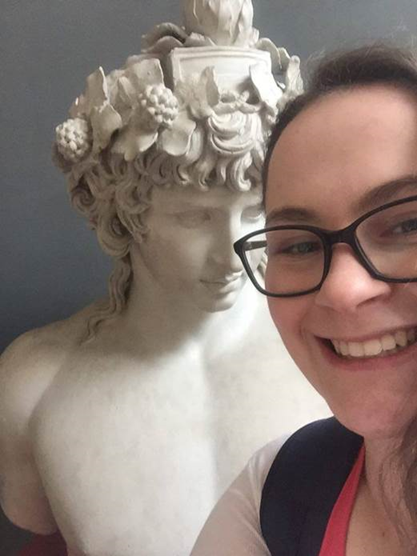 UOW Southern Highlands student Melanie Aitken took part in a 2 week intensive summer program at the prestigious Cambridge University studying Ancient and Classical worlds. Melanie attended 10 days of classes with 60 students from across the globe including the European Union, USA and a large number from Australia. Melanie said “There was way more contact hours which allowed us to cover a lot more content in the limited days”. 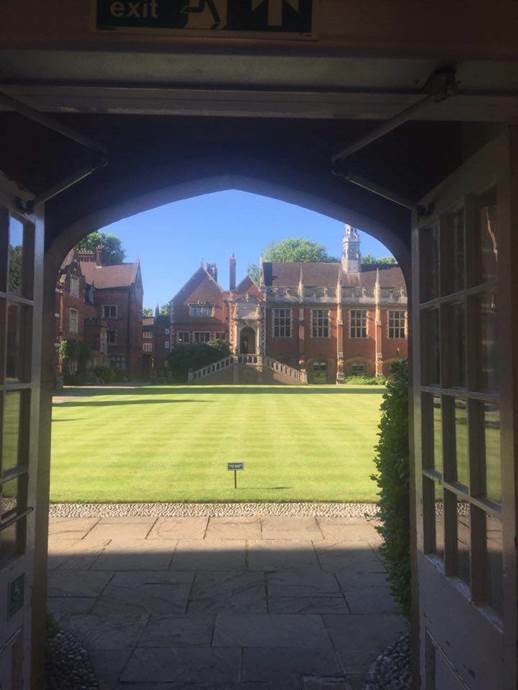 As well as attending lectures and tutorials, students also had the option to participate in excursions such as a tour of Windsor Castle, viewing of Queen Mary’s doll house and were able to walk through the State Apartments. 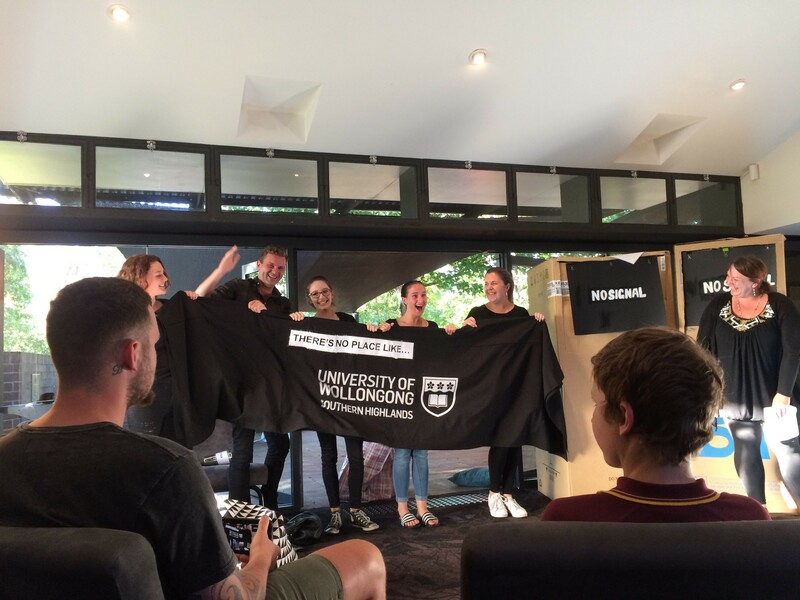 Whilst there Melanie stayed at Selwyn College where there was team of students similar to the UOW Southern Highlands student helpers who stayed in the colleges and were the first point of contact for any questions or advice. 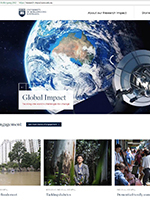 The program was organised though the UOW Office of Global Student Mobility which arranged semester-long and short-course overseas experiences. Melanie’s trip was one of many intensive programs available to UOW students, including through AIM Overseas. .
UOW Southern Highlands have access to all UOW international exchange programs, including scholarship supp aort to obtain valuable international experience. 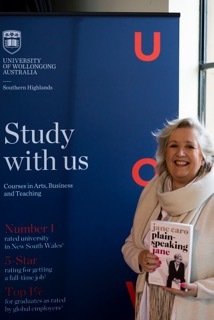 UOW Southern Highlands was a sponsor of the successful Southern Highlands Writers Festival which took place on 17 August 2016. More than 1.000 visitors attended sessions by some of Australia’s finest writers and thinkers including Sofie Laguna, Jane Caro, Wendy Whiteley, Janet Hawley, Sarah Macdonald, Lucy Palmer and Barry Jones. The UOW Southern Highlands banner and materials were on display throughout the event. Staff attending the sessions reported enthusiastically on the inspiration provided by the speakers and the thought-provoking discussion which was stimulated by the event. UOW Southern Highlands has entered a partnership with Southern Highlands Chamber of Commerce & Industry (SHCCI) by becoming an official supporter. Campus Manager, Stephen Lowe, is keen to work with the Chamber in supporting economic development and employment in the region. “Partnering with the Chamber opens up opportunities for our students,” Mr Lowe said. “The Chamber has already assisted students through SHCCI Chair Kurt Newman’s involvement in our Career Development program and other initiatives. Local businesses can take advantage of education offered by UOW Southern Highlands, from degrees in business, management, accounting, humanities and teaching through to certificates in retail and leadership. 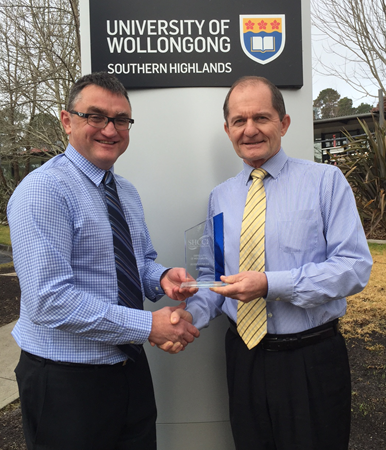 SHCCI Chair K urt Newman presenting the Supporter’s Plaque to UOW Southern Highlands Campus Manager Stephen Lowe.